Add a little artistic inspiration to the holidays! 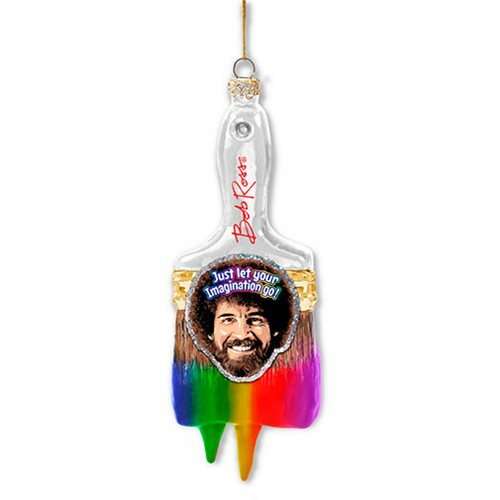 This Bob Ross 4 3/4-Inch Glass Brush Ornament is shaped like a paint brush dipped in a rainbow of colors and features an image of Bob Ross. It reads, "Just let your imagination go!"